Should Mental Illness be a Taboo Topic? This week is Mental Illness Awareness Week. In an effort to promote awareness and dialogue about mental illness, I want to share a little bit about why I believe mental illness is often treated as a taboo topic, and why I believe that it shouldn’t be. First, I think of the party game, Taboo. 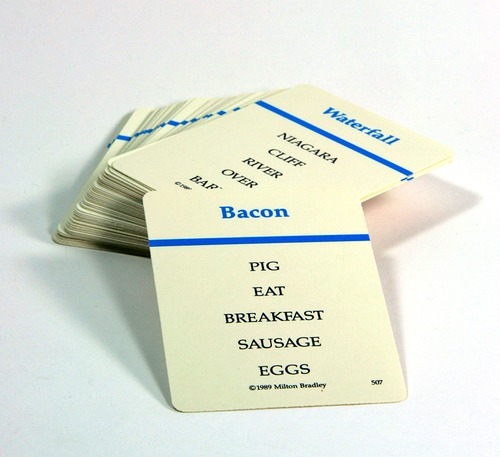 In this game, you are presented with a card with several words on it. There is one word on the top, which is the word you want to help your teammates identify. Beneath it is a list of words commonly associated with the initial word that you cannot use in eliciting a correct response from your team. The rules of the game restrain utilizing certain words, and requires a degree of inventiveness and creativity. Second, I think of Voldemort. Lord Voldemort, previously Tom Marvolo Riddle, is the name of the antagonist in the popular Harry Potter series. 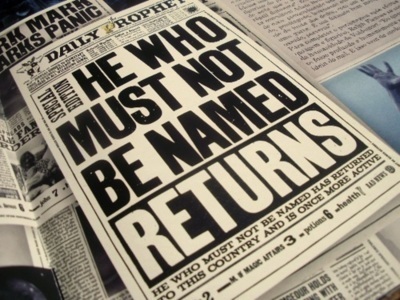 In the wizarding world, Voldemort is so greatly feared that no one dares to even speak his name aloud. Instead, he is referred to as “the Dark Lord” by his followers, and as “He-Who-Must-Not-Be-Named” by the rest of the population. One definition of “taboo” is “a prohibition imposed by social custom or as a protective measure.” In the example of Voldemort’s influence in the wizarding world, the taboo was instigated as a protective measure. However, the wizards who accepted this socially-imposed taboo were only protected from their own discomfort and from being reminded of their fears. And, ultimately, avoiding the topic proved to be detrimental to the safety and well-being of society. 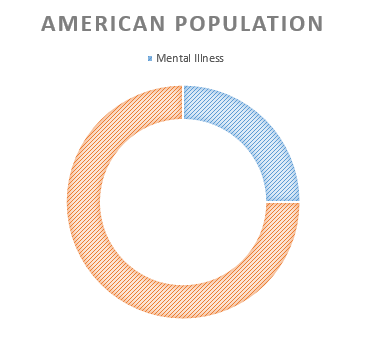 This may well be the case with the treatment of the topic of mental illness in the United States. The subject, and the people associated with it, are misunderstood, feared, and avoided. And the silence that results from this fear is detrimental to the well-being of our society. 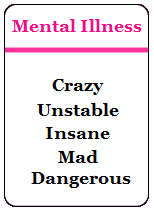 These words should NOT be automatically associated with the mentally ill.
And this is a problem. This narrative of mental illness breeds confusion, fear, and negativity. People end up pigeon-holed and caricatured in a way that does not reflect their humanness, their strength, and their need for respect, compassion and social support. 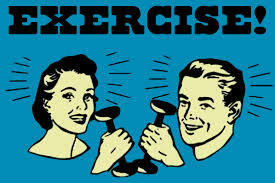 This, in turn, leads to avoidance of individuals associated with mental illness and avoidance of the topic. Views are warped, in part, because there are very few serious conversations involving informed and sensitive parties. For many, mental illness is a taboo topic. And it shouldn’t be. Taboos exist in our world. Some are functional and are appropriately censured in casual discussion and in general contexts. However, there are some situations, including this one, in which the fear of a topic and the creating of a taboo around it removes individuals from understanding and responding to people and problems. Furthermore, having taboos reinforces stigma, and stigma leads to all sorts of problems. Silence inspired by fear is damaging. An inability to understand and reach out to another in their time of pain leads to unnecessary loneliness. Ignorance about depression, bipolar disorder, or other mental illnesses can lead to insensitivity, mistreatment, unmet needs and inappropriate discrimination. It can lead to a lack of civility and towards alienation of those who are in need of compassion and support. There is risk associated with silence. It is natural to avoid things that make us uncomfortable. And things that we don’t understand make us uncomfortable. There is a vicious cycle there: We don’t understand it so we avoid it. Because we avoid it we continue to not understand it. But ignoring a problem does not make it go away. And ignoring a problem that affects approximately one in four people is ridiculous. A lack of education and continued silence on the matter prevents you from using your power and influence to help another person. Take time to become better educated regarding mental illness and the people affected by it. Learn how to be a support and an advocate. An educated and purposeful voice makes a powerful difference.